WDR offers a variety of mitigation, restoration, and construction services. We are experienced in working with the insurance claims process as well as handling non insurance related projects. Serving not only individual home owners, but also property management companies and commercial businesses, our extensive knowledge and professionalism makes us the ‘go-to’ team of choice. It is our integrity and proficiency that has kept our clients loyal and has brought so many referrals back to us. WDR has an in-house staff of dedicated Project Managers, Production Managers, and Field Technicians with a solid understanding of all aspects of construction. Our experience, knowledge, and integrity makes us the best choice when it comes to your construction needs. 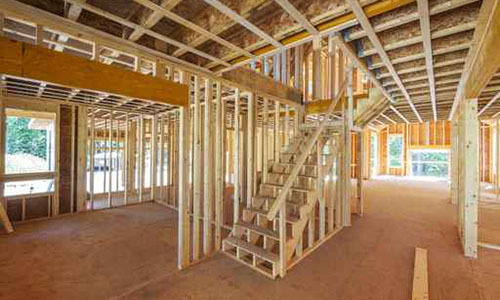 WDR is experienced in construction of all types. This could include, but is not exclusive to, water drainage, roof repair, gutters, siding repairs, all forms of concrete, stairs, sidewalks, decks, balconies, and parking areas. Our team is experienced in working with property management companies, multifamily housing, HOA’s and residential single family homes and we are ready to respond to emergencies 24/7. We know the sensitivity needed when working in an occupied environment and our processes and communication ensures that your project will go smoothly. We are OSHA certified putting safety first and are committed to delivering excellence and quality with every project. A home is not only one of the largest investments we will make in our lifetime but it is a place that is held close to the heart of the homeowner. When it comes to repairing your home or remodeling, you want to choose a construction company that understands how important your home is to you. ‘Doing it right the 1st time’ is cultivated and implemented throughout our company to ensure reliable, economical, and excellent results. We provide our customers with a high quality product, experience, and service at a competitive price. WDR is not only committed to excellence but integrity is the foundation of our business. "The WDR reps/staff have been extremely helpful & we are very pleased with the installation & finish of the hardwood floors. The job is professional & all have been wonderful with the care in doing a superb job. Thanks"
"The basement has been finished and we are very happy with the work WDR did! Not only are they professional we feel their work is above average!" "Mr. Jeff Larson, Your kindness, calm spirit and expertise was/is appreciated more that you’ll ever know. I especially appreciate your promptness and explanations regarding damage and repair! I will recommend your firm!" "Super impressed with Wayne. WDR came highly recommended and exceeded expectations." "We were happy with the remodel work done by WDR in our water damaged basement. The project manager did an excellent job of always being there for us"
"Best work ever! WDR went above and beyond. I will be doing more work, and will refer WDR to all friends." "WDR was very efficient and compared to the two other bids I had, were very reasonable. I highly recommend them to anyone who needs good workmanship and good honest people! And they got the work done in two days!" "Highly satisfied. Joe was a great help, he went above and beyond every minute wile on the job. I noticed how well clean-up is and it made me rethink doing additional work. I will be requesting he works on my future jobs in the coming months. Joe’s attention to detail really made the job look nice!" "My home renovation was the second project done by WDR and even though it was a larger project the communication and updates were excellent. I was notified immediately of any problems or required changes. There were no surprises. When I saw the finished project I could not have been more pleased. Great company. Great work." "Great Job. Fast and efficient. The project manager was great at following up on each phase. Good customer rapport. Excellent craftsmanship and kind people. WDR is fast, knows their trade and gets down to work efficiently. Transition went smoothly." Call us today! 24-hour emergency service available!